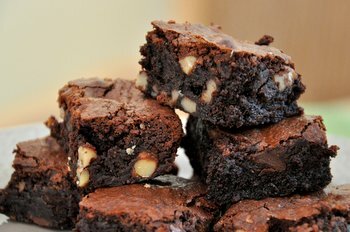 There are some recipes which are simply better without flour. It is one of them. (1) Preheat the oven to 180C/350F/gas 4. Line a 28cm (11in) brownie tin with baking paper. (2) Suspend a bowl over a pan of simmering water (making sure the water doesn’t touch the bottom) and melt the chocolate and butter, stirring a couple of times until the chocolate is just melted. (3) In a separate mixing bowl, use an electric whisk to beat the eggs, sugar and 1 tsp of salt until very light and fluffy and doubled in volume. Stir in the melted chocolate mixture, and when it is incorporated stir in the walnuts. Pour into the tin and place in the oven for 20-25 minutes at 180C, until the surface is firm but gives a little when you touch it. Leave to cool in the tin before cutting into squares. 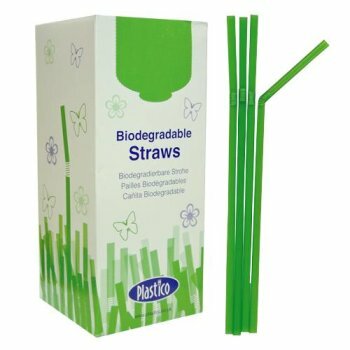 Biodegradable single use drinking straws - Why not? One of the trending concerns of 2018 in the use of single use plastics and their impact of the environment, especially the oceans. Plastics in everyday life are almost unavoidable and pubs and restaurants unfortunately are not entirely immune from the problem. This year four of the major pub chains have already announced that they will be withdrawing plastic drinking straws for their retail operations. Which initially sounds like a very positive step. However there are certain drinks, especially cocktails, which are simply not the same without a straw. There are several alternatives to plastic straws. Glass, Stainless Steel and the dreaded soggy paper strew, we've probably all had poor experiences with. Leaving to paper straw behind both metal and glass straws present a considerable cost and certain obvious health and safety issues. Here is a real alternative which is relatively low cost and environmentally friendly. Single use straws manufactured from Polylactic Acid (PLA) are broken down by micro-organisms in a composing environment over a relatively short period of time. The constituent released Lactic Acid is metabolised by the microbes and there remains no polymer material in the environment. A win – win. There are limitations and correct disposal is key. PLA which finds its way into the oceans will remain, so these straws and other products manufactured from PLA need composing. So counter to intuition the correct disposal route is presently your household green bin. But with the assistance of local authorities green bins could quite easily be provided to food and beverage based bushiness. Perhaps we should be encouraging our favourite restaurant and the pub on the corner to embrace them and do their bit for the environment? 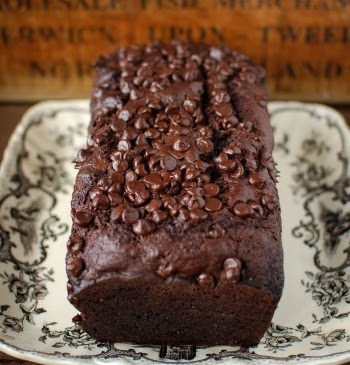 This chocolate and banana treat is enough to know it won't stay in the cake tin for long. You might want a lock on the kitchen door! Preheat your oven to 175C and grease a loaf tin and line with baking parchment. In a large bowl mix together your mashed bananas, melted butter, oil, sugar, egg and vanilla extract until combined. Sift your flour, cocoa powder, baking powder and salt over the wet ingredients and stir until just combined. Stir through 3/4 of the chocolate chips and pour the batter into the prepared tin. Sprinkle over the remaining chocolate chips and bake for 60 minutes until a skewer inserted into the centre of the cake comes out mostly clean. Remember there are chocolate chips in there so you may have to test the cake in a few places to ensure you're not just hitting melted chocolate. Allow to cool in the pan for 20 minutes before removing from the tin and placing on a wire rack to finish cooling. Slice while still warm and sticky, enjoy and try not to eat the whole thing. This is an idea recipe of cold winter days, especially if you happen to have a slow cooker. Over the centuries countless regional ethnic dishes have been adopted by Jewish cooks and made kosher to fit the Jewish religious standards for pure eating. This means that “Jewish food” is really world cuisine; there are very few dishes that are uniquely Jewish. Bagels? A Polish baked bread originally created for Lent and later embraced by the Jews. Gefilte fish? A German dish adopted by Yiddish cooks. 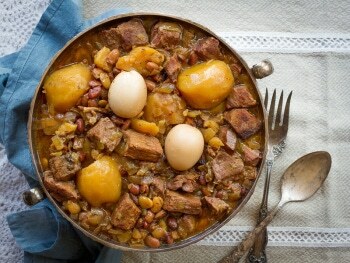 But Cholent - well, Cholent is one of the few foods that is totally and completely Jewish. It was created because Jewish law does not permit cooking on Shabbat. To adhere to this prohibition, Jewish cooks began to create meat and bean stews in heavy pots that would slowly simmer inside a low-heat oven overnight. They would prepare the stew on Friday before sundown, cook it partially, and place it into the oven to continue cooking throughout the night. That way, there would be no need to kindle a fire or light a stove during the hours of Shabbat; they would simple remove the stew from the oven at meal time and it would be fully cooked and ready to serve. (1) The beans in this recipe will soften without any pre-soaking due to the long slow cooking process, however they will be easier to digest with a simple quick soak prior to cooking. To do this, place the beans into the bottom of a large pot and cover with water. The beans will expand to over double their size, so make sure you cover by several inches of water to allow for expansion. Bring the beans to a boil for 5 minutes, then remove from heat. Let them soak in the cooking water for 1 hour, then drain and rinse well before proceeding with the recipe. (2) In a large slow cooker (the larger the better! ), place the potatoes in a single layer on the bottom of the cooking vessel. (3) Dice the onions and Sprinkle over the potatoes. (4) Place the beef in a single layer on top of the onions and potatoes. Place the two marrow bones in the meat. (5) Rinse the beans clean, checking for any stones or impurities. If using barley or Buckwheat, do the same with the grains. Sprinkle the beans (raw or pre-soaked) and optional grains over the top of the meat. Place the three whole garlic cloves into the meat, evenly spaced. Sprinkle the whole mixture with the black pepper. (6) If using eggs, rinse them well and then tuck them into the meat. In a bowl, whisk together the low sodium chicken broth, kosher salt, paprika, turmeric, cumin and cayenne. (7) Pour the liquid over the Cholent. Add additional water until all of the beans and pieces of meat are covered. (8) Cover the slow cooker. Cook on low heat for 16 hours. Check occasionally as it's cooking; add additional water and stir a bit if it's looking too dry. Most cookers will auto-switch to warm when the cooking is complete. If yours doesn't, set it to warm until ready to serve. (9) Peel the eggs before serving and enjoy.